A Scholastic Reading Counts book quiz is due by the last school day of each month. You must get at least a70 for credit. It must be a middle school level book unless given prior approval. Place your orders online or hand in order form. 2. Reading builds a mature vocabulary. 3. Reading makes you a better writer. 4. Reading is hard, and "hard" is necessary. 5. Reading makes you smarter. 6. Reading prepares you for the world of work. 7. Reading well is financially rewarding. 8. 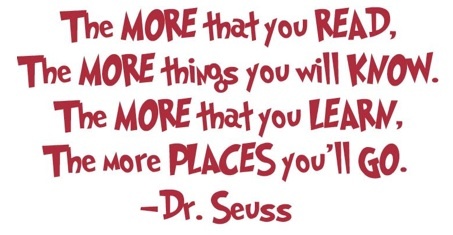 Reading opens the door to college and beyond. 9. Reading arms you against oppression. Books I've Read and Enjoyed - You may, too!